The colors we see on the red carpet always serve up major inspiration as we fill our closets in preparation for parties, weddings, and even prom. 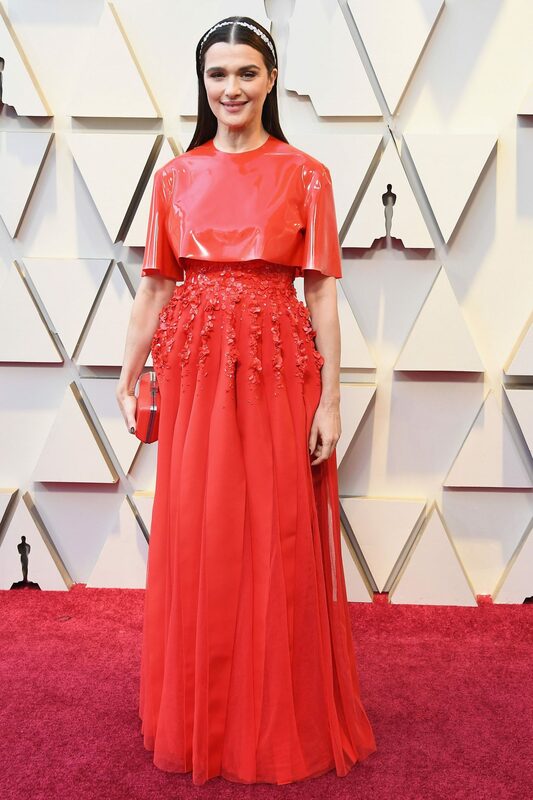 The Oscars are perfectly timed at the brink of winter’s passage into spring, and the hues that danced across our screens reminded us of all things warm-weather, getting us in the mood for a bright and fun-filled spring. Click through to see all the color trends we noticed on the red carpet, and our suggestions for shopping them IRL. 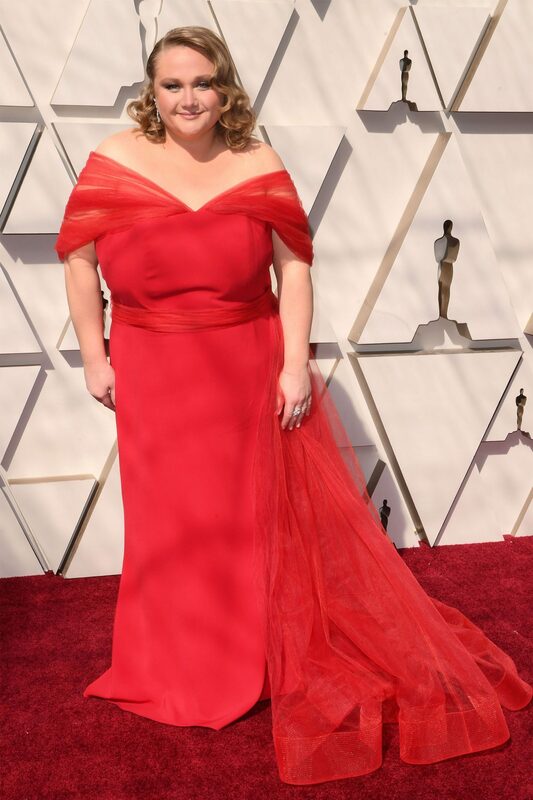 Danielle Macdonald’s sustainably made Christian Siriano set our hearts on fire, too. 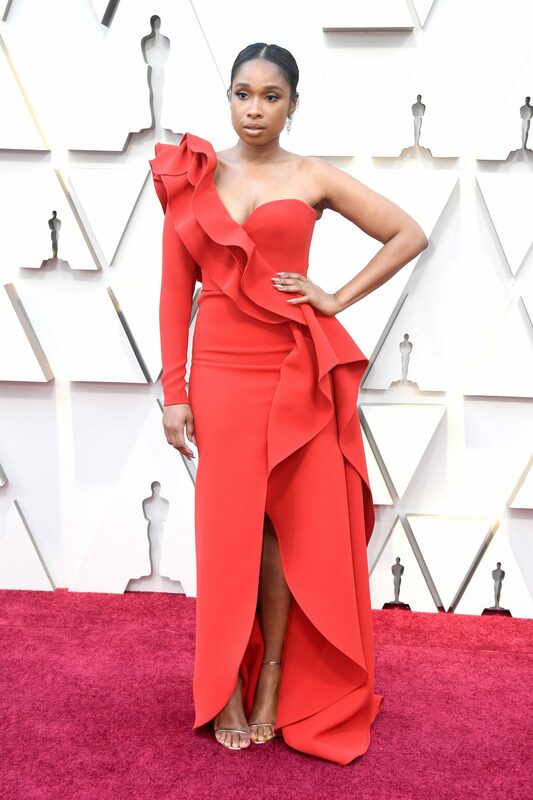 As we all know — and witnessed firsthand last night — Jennifer Hudson can really hold a note. 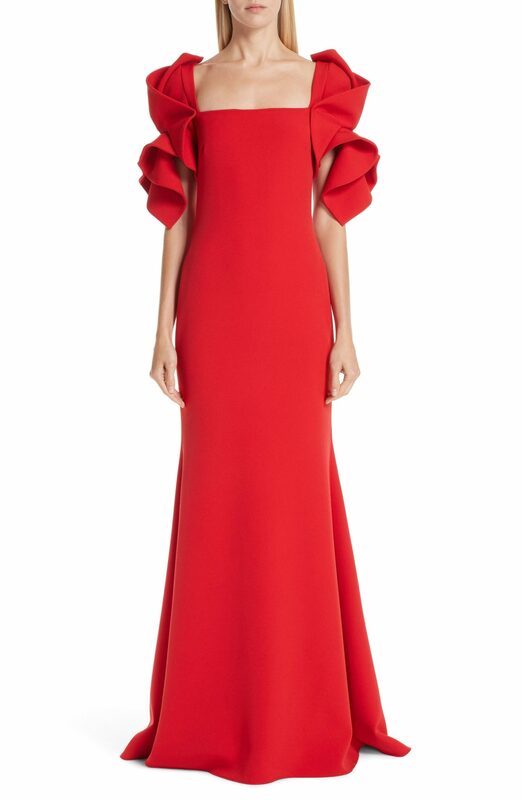 She can also hold her own wearing red on the red carpet, thanks to this cascading Elie Saab number. Want to channel these scarlet-hued celebs? 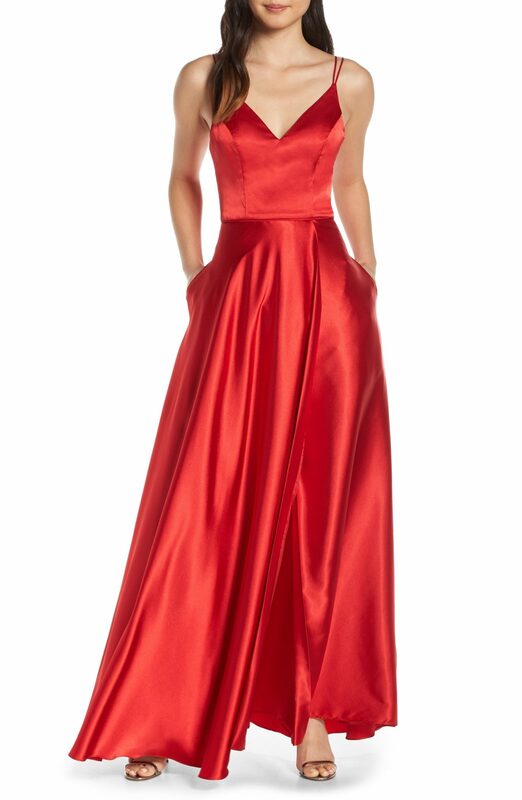 This shimmering red maxi dress — with pockets! — will shine now in the colder months, and even brighter when you can shown some skin come spring. 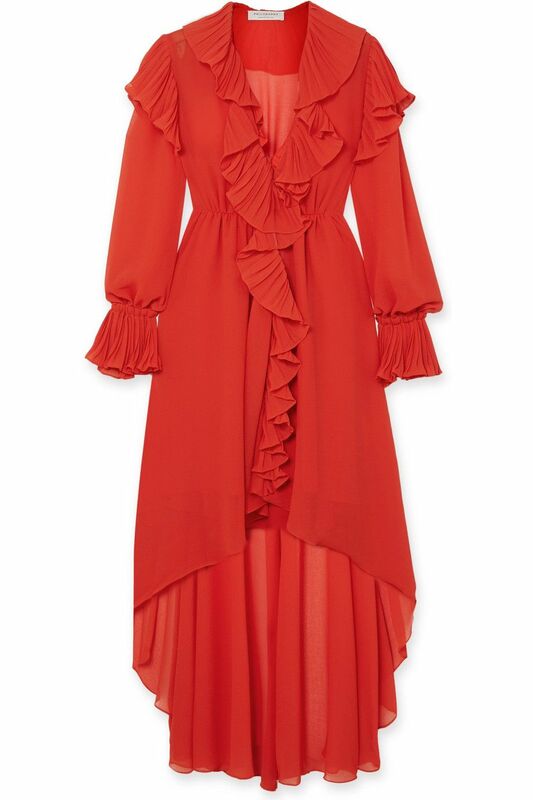 This boho confection may have a casual drape, but the scarlet hue makes its presence very commanding. The bigger the shoulder, the closer to heaven. 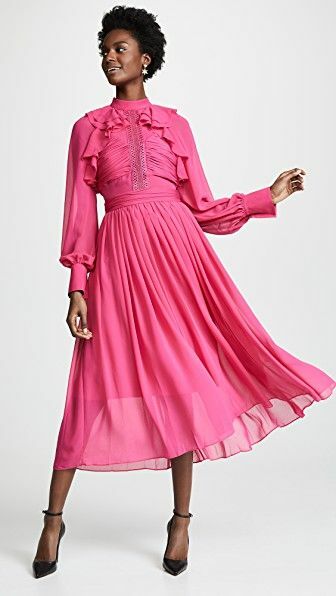 Long blouson sleeves and a tea-length hem make this dress an unexpected choice in a bold fuschia hue.